Barndominiums are taking the world by storm. You may have heard that they are the next big thing for steel buildings. It’s true. These structures are growing in popularity as an innovative alternative to traditional building construction. Steel building clear span designs offer interior flexibility by allowing you to design and build with lighter non-load bearing walls. As with any new concept, consumers are chiming in with, “Why?” Read on to find out. Barndominiums offer a flexible opportunity to build. Contractors and steel building owners have the freedom to design a custom layout that suits their specific needs. Individuals can also purchase a pre-fabricated building kit that takes the hassle out of traditional construction. Durability is another reason many opt for a metal building. The structural components can withstand harsh weather elements making them a popular solution for rural areas. Homeowners are ditching the traditional housing model for a barndominium. A steel home can accommodate all of the typical features, such as air conditioning, ceiling fans, windows, hardwood, or carpet flooring. 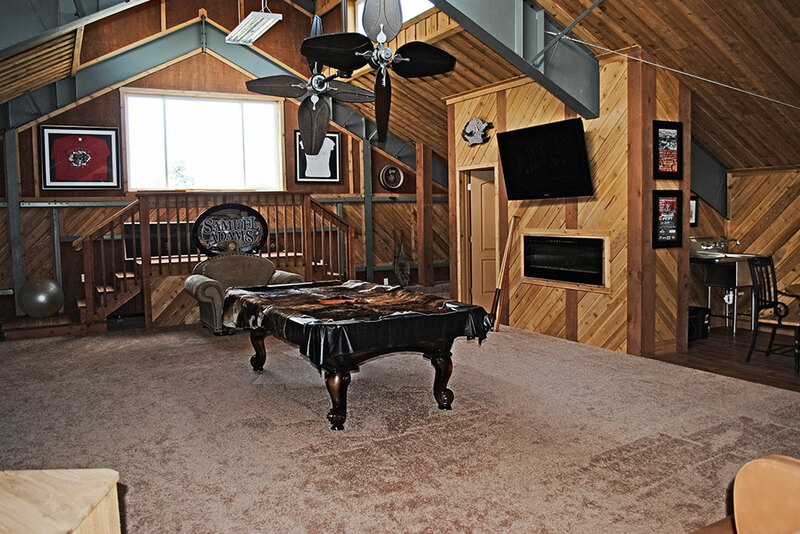 Vaulted ceilings are also a nice perk as barndominiums usually have 9 feet of vertical space. These homes are engineered with concrete slabs and spray foam insulation. The low maintenance, energy efficient design is also super affordable. On average, barndominiums can cost much less than a traditional home, especially for do-it-yourselfers. Still not convinced? Here’s what else you can do. Steel buildings are also replacing other building types. They can serve as a garage, workshop, office space, agricultural barn, airplane hangar, and more. Some are even building giant mancaves! Owners are only limited by their imagination. Are you a business owner, farmer, or rancher? Combine your living space with your workspace. Many people are building living space combos that include a functional work area. Are you a pilot? Combine your home with an airplane hangar for accessibility. Tired of the office commute? Build a house attached to an office space. Barndominiums offer an affordable alternative to traditional building design. Customize a structure to fit your lifestyle.